From course to course, challenges differ. Even courses that border each other have unique challenges despite their close proximity. The importance of maximizing maintenance dollars, however, might be the one universal commonality of the industry. Sure, early order programs aren’t for everyone, but they are for most. 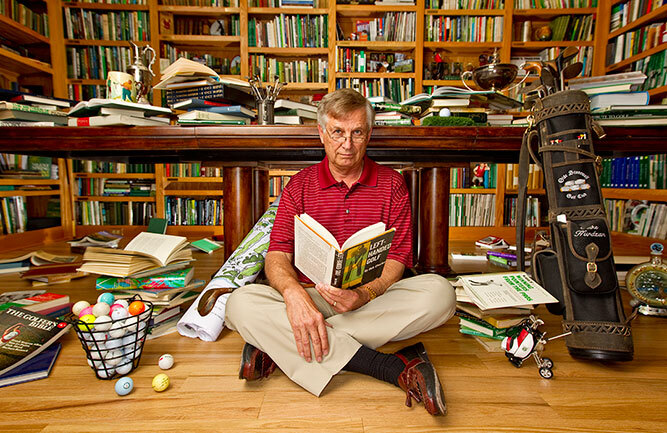 In a recent Golfdom survey, 80 percent of readers reported they participated in EOPs. For many of the superintendents we talked to, the money saved by EOPs allows them to do more in other areas of the course. Hence the importance of providing readers with information on how EOPs can help them and details on several unique programs in the industry. This supplement, now in its second year, would not be possible without the support of its sponsors: Syngenta, FMC, Quali-Pro, NuFarm and BASF. Each of these companies shares their specific early order program offerings in this guide. Our guide to EOPs is at your fingertips. Let the savings begin. It’s October, and all over the country manufacturer’s sales reps and chemical distribution marketing teams are jumping into their cars and heading down the highway to see you, the golf course superintendent, the most important person in the product supply chain. They’re coming to consult with you on their early order programs (EOPs), incentive buying programs that offer deep discounts off the price of fertilizer and other chemicals, if they’re purchased in autumn rather than in the spring. If you buy now and buy enough, they’ll probably throw in an option that lets you pay for the product in installments or upon delivery, if the numbers make sense. They might even offer you free delivery or cash rebates if you commit to enough product to last you through the 2016 growing season. Yes, it’s true. You, as the decision-making, product-buying, early-order-placing superintendent, have the power to impact more than just the inventory of fertilizers, herbicides and other chemicals at your golf course. You also have the ability to impact the entire golf industry — everyone from raw materials suppliers to manufacturers to sales reps, and even truck drivers who deliver the product to you, just by ordering early now in the fall rather than waiting until the spring when you’ll actually use the products. You might think that as one individual your order probably wouldn’t make much of a ripple in the overall golf industry economic outlook. But as an influential group spending at least some percentage of your budget in the fall, superintendents have the heft to greatly sway how the industry plans its product production schedules and inventory management for the coming year. Having the product in the barn when he needs it is one of the big reasons why Rich Balsimo, superintendent at Houston Oaks Golf Course in Paris, Ky., spends the majority of his chemical budget on early order programs through his distributor, Harrell’s. With a chemical and fertilizer budget of between $110,000 and $115,000 for his 18-hole course grassed tee-to-green with disease-prone bentgrass, Balsimo estimates he spends nearly 99 percent of his budget for the year on early order. In return, his club receives significant discounts plus big rebates that total between $8,000 and $10,000 per year. Points programs through Syngenta and Harrell’s in-house brands net the club another $3,600 in jackets for the crew as well as gift cards the club uses to buy incidentals and equipment. He also is able to pay the invoice over three payments in May, June and July when the club is producing revenue, even though he takes delivery of the product in late March and into April. Jeffrey Nabozney is the superintendent at Cedar River Golf Course, one of four golf courses at Shanty Creek Resort in Bellaire, Mich. Although all four superintendents at the resort manage four distinct budgets, Nabozney says he negotiates a group discount through three different distributors offering early order programs. Nabozney estimates that the four courses save 20 percent on their chemical budgets. They pay their invoices on terms, with payments split over three installments. They all take delivery at the same time before April 30. “I want to get the best value for my course and have every working chemistry at my fingertips,” Nabozney says. Greg Nicoll, vice president of sales and marketing for Harrell’s, says “90 percent of our end users participate in some shape or form” in an early order program and can save “10 percent to 30 percent” on their chemical and fertilizer budgets. Nicoll says the distributor offers early order programs from companies such as Syngenta, Bayer, BASF, Dow Chemical, FMC, Nufarm, PBI Gordon, SePro, Aqua-Aid and others. On average, nationwide, a Harrell’s golf course customer orders between 30 percent and 60 percent of his/her overall chemistry budget during the early order period. With this much volume being ordered at one time, Nicoll says it’s critical for superintendents to plan their orders carefully. Harrell’s reps track sales for their customers and can produce logs going back many years to help superintendents track trends. At Pleasant Valley Country Club, a nine-hole course in West Liberty, Ky., Ryan Gevedon relies heavily on his spray logs to prepare his early order purchases. “Based on the previous spray logs and what I’ve seen, I am able to predict what I’ll need. Most will cover general diseases — dollar spot, brown patch and that kind of thing. I’m able to predict that. It’s going to happen, so basically I’m going back into the book. I know what we’re going to see and what chemicals we’re going to need to take care of that disease,” says Gevedon, who serves as GM, head golf professional and superintendent at Pleasant Valley. Participating in the early order program, while time consuming, also can set up a club for success the following season. However, EOPs can save superintendents more than just money. They can also save time down the road. In the end, Closs says, EOPs help superintendents reduce their stress level when it comes to chemical purchases. We asked superintendents on Facebook to weigh in on early order programs. Here are a few replies. Foxland Harbor G&CC, Gallatin, Tenn. Cold Spring CC, Belchertown, Mass. The Renaissance Vinoy Resort and GC, St. Petersburg, Fla. Lock in a yearlong rebate by spending a minimum of $5,000 on Qualifying Products during the Early Order Period. Your yearlong rebate is valid for all purchases of Qualifying Products made during the Program Year: October 1, 2015 to September 30, 2016. The more you order, the more you save—and rebates can be as high as 10%. Savings Snapshot—Your yearlong rebate ranges from 5% all the way up to 10%. This percentage is determined by the dollar value of Qualifying Products purchased during the Early Order Period. Earn more GreenTrust Rewards than ever. Every dollar spent in October earns triple points. Plus, you can earn up to an additional 30,000 GreenTrust Rewards Points through the Spotlight Brand Points Bonus and the Acelepryn® insecticide Points Bonus. Keep your cash flow in check by deferring payment until July 6, 2016. All you need to do is order Qualifying Products by December 7, 2015. Apply intelligently with the right mix of products for almost any facet of your agronomic program. You can save up to 25% from a selection of 11 different Pallet Solutions, making it easy to meet your minimum order requirement on Qualifying Products. Save even more on complementary products delivered in convenient multipaks. Protect your course with confidence through expert application recommendations and performance guarantees. Maximize your purchasing power and save time with our easy-to-use calculators that help you determine your best product order. elect the calculator type that works best for you and your early order planning. Calculators include: Agronomic Pro, Savings Plus, Basic Savings. Now is the time to earn significant savings and benefit from extended terms on many of FMC’s most popular turf and ornamental products! The FMC 2015 Early Order Program runs from October 1, 2015 through December 11, 2015, allowing participants to purchase products at current pricing but defer payment for select qualifying FMC products until June 24, 2016. By purchasing during the month of October, participants qualify for an early incentive that offers an additional rebate of up to 40% more than the base rebate for qualifying products. The base rebate is still also in November and December, too. The more you buy, the more you earn! FMC 2015 Early Order Program rebates range from 5-25% during the Early Order Program Period. Participating professionals must earn a rebate minimum of $200 on FMC Early Order Program products to qualify for rebates. After purchasing, simply submit a rebate form online at www.fmceop.com no later than January 16, 2015. Always read and follow label directions. FMC, Fame, Blindside, Dismiss, Echelon, QuickSilver, Solitare, SquareOne, OnyxPro, Talstar and Triple Crown are trademarks of FMC Corporation. Aria is a trademark of Ishihara Sangyo Kaisha, Ltd. Xonerate is a registered trademark of Arysta LifeScience North America, LLC. © 2015 FMC Corporation. All rights reserved. *OnyxPro insecticide, Triple Crown Golf insecticide and Talstar Select insecticide are Restricted Use Products. Start next season off with these great end-user programs from Quali-Pro of Control Solutions Inc. Some conditions and restrictions apply. To see a list of all of Quali-Pro’s end-user programs and download redemption forms, visit www.quali-pro.com/promotions. 2DQ – powerful three-way herbicide for broadleaf weed control on warm and cool season turfgrasses. ⦁ Buy 5 cases of 1 or 2.5 gallon, get 1 CASE FREE! 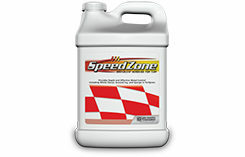 ⦁ Buy 10 cases of 1 or 2.5 gallon, get 3 CASES FREE! Enclave® – broad spectrum fungicide with Quad-Control Technology for turfgrass and ornamentals. ⦁ Buy 2 cases of 2.5 gallon, get a $100 GIFT CARD! ⦁ Buy 5 cases of 2.5 gallon, get 1 CASE FREE! Enclave® and Foursome® – powerful three-way herbicide combined with our unique pigment additive for broadleaf weed control. ⦁ Buy 2 cases of 2.5 gallon Enclave® plus 1 case of Foursome®, get 1 CASE OF ENCLAVE® FREE! Strobe® 2L – broad-spectrum, liquid azoxystrobin fungicide with protectant, curative, eradicant and systemic properties. ⦁ Buy 2 cases of 1 gallon, get a $100 GIFT CARD! ⦁ Buy 5 cases of 1 gallon, get 1 CASE FREE! Strobe® 50WG – broad-spectrum, wettable granule azoxystrobin fungicide with protectant, curative, eradicant and systemic properties. ⦁ Buy 2 cases of 6 pound, get a $400 GIFT CARD! ⦁ Buy 5 cases of 6 pound, get 1 CASE FREE! ⦁ Buy 2 cases of 1 pound, get a $150 GIFT CARD! ⦁ Buy 5 cases of 1 pound, get 1 CASE FREE! Strobe® T – Azoxystrobin and Tebuconazole in a suspension concentrate product with multiple modes of action. Maximize profit and reach your potential faster with the 2016 Nufarm End User Rewards program. With the innovative and diverse Nufarm product portfolio, you’ll have the best chance of reaching your business goals. And with our rewards for ordering early, you’ll maximize profit and get there faster. To earn big rewards in the form of distributor credits, qualify by March 1, 2016. To earn even bigger rewards, qualify by October 31, 2015. Register at nufarmrewards.com or contact your authorized Nufarm distributor for a list of eligible products and programs. Online registration is required to receive rewards. The BASF Early Order Program for 2016 makes it easy to order and save on products that ensure healthier, more beautiful turf for the coming year. All the popular features of last year’s program are back: the $1,500 rebate level, 10% discounts on all cubes, and savings on our most innovative fungicides. To get ahead of the game, order and save now to ensure more playable turf for 2016. EOP is as simple as 1-2-3. Plan your purchase early for maximum savings. Earn up to 33% more in rebate dollars by ordering in October when rebate levels are highest. Rebates start when you spend $1,500. Order early, but pay nothing until June 2016. Order specially designed product cubes, which deliver convenience and 10% instant savings. Each cube provides a combination of products selected to address your specific needs and course conditions. Lexicon® Intrinsic® brand fungicide or Xzemplar® fungicide, and boost your rebate an additional 1% on your entire order. This year’s program also features the new EOP Order Planner, which makes it easy to prepare your order and calculate your rebate. It also converts cube and individual product selections to the number of applications and acres covered, helping to ensure you have the products you need in 2016. When you’re ready, you can print or email the form to your DSR. Visit betterturf.basf.us/eop for complete EOP information, including product information, video testimonials, electronic copies of everything in this mailing, and the new EOP Order Planner.